rogue poags: The Color Run is coming to Washington, DC! The Color Run is coming to Washington, DC! i am SO excited to let y'all know that The Color Run is coming to our area! Not only once, but TWICE they are visiting Washington, DC! This is truly amazing because we're all busy and can't always make the ONE date - and i think The Color Run knows this - they want to make us happy; which is why they're also known as the Happiest 5k on the Planet! The Color Run coming to Washington, DC on 9/28 and 11/01! 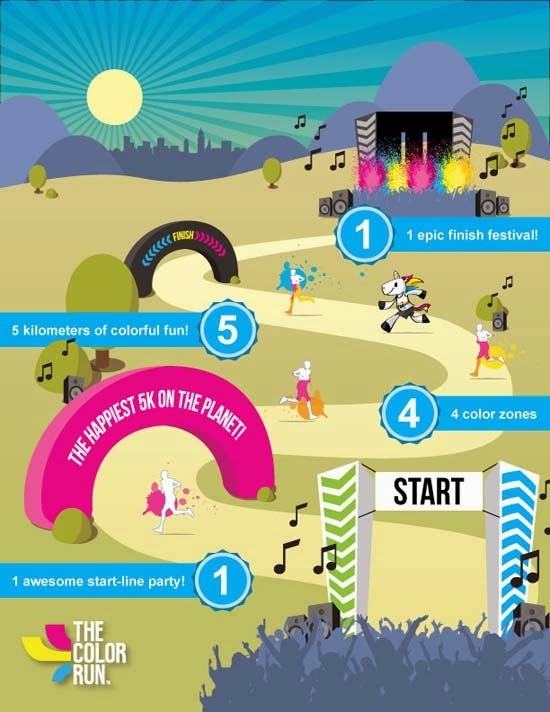 Register online for the Happiest 5k on the Planet and get $5.00 off your registration! The Color Run, also known as the Happiest 5k on the Planet, is a unique paint race that celebrates healthiness, happiness and individuality. Now the single largest event series in the United States, The Color Run has exploded since our debut event. 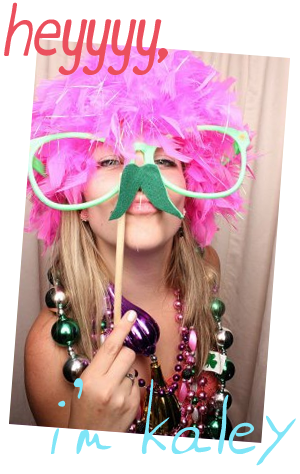 We have more than tripled our growth, hosting more than 170 events in 30+ countries in 2013. This year is extra special because they're throwing in more goodies for us! 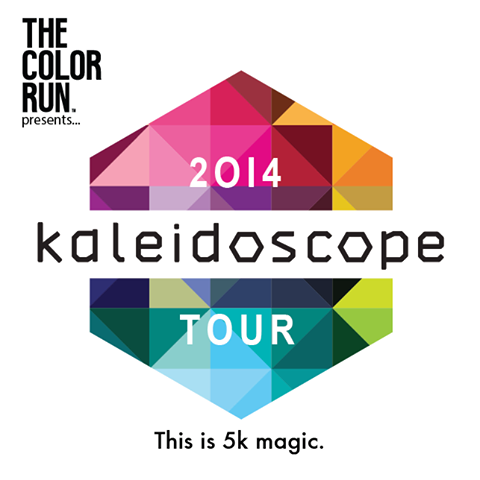 Not only do we get doused in a KALEIDOSCOPE of color while running/walking this, we're getting great swag! 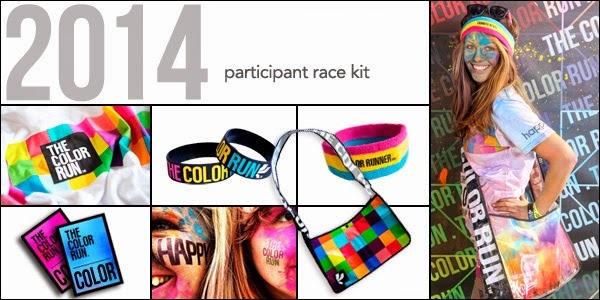 As usual, race participants receive an exclusive T-shirt, headband and wrist band - and new this year - a SLING BAG! This is essential to protect your T-shirt (if you don't wear it during the race) but also your personal belongings! The color run is also family friendly! Kids 5 and under can run [or walk/stroll] with an adult for FREE! They will not receive a race packet, but there is plenty of items available for purchase for them! If they are above the age of 5, they will have to register and have their very own race bib! Worried about the color powder?? Don't be! The powder is 100% cornstarch based and even gluten free! 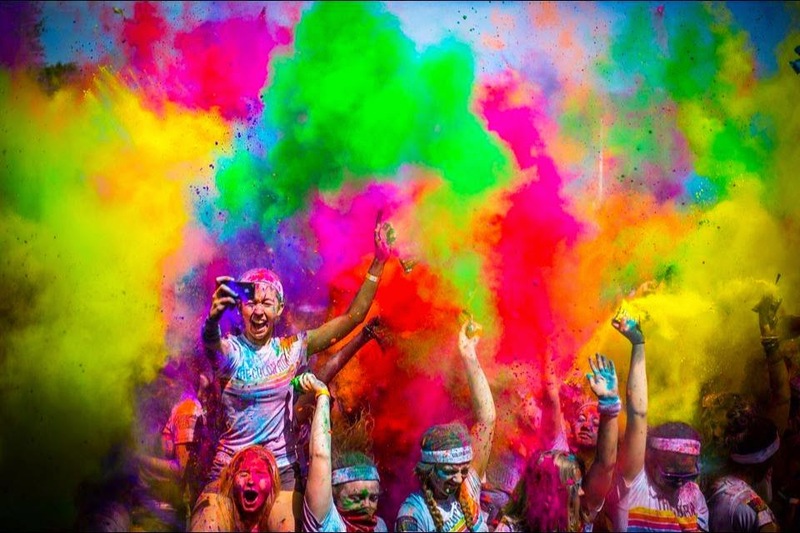 if you're still nervous - wear some sunglasses and a hip bandana over your nose/mouth during the color zones! Use the Promo code: HAPPY5OFF to receive $5.00 off your registration! **IMPORTANT** Code can only be used once per transaction. If you are registering more than one person, complete the process with the code and then repeat for each person after. The code is good for any race that is not sold out and it does not guarantee you a spot in the race so once you find the race you’d like to participate in, you’ll need to enter soon! Important: Code must be entered at time of registration, cannot be retro-applied. Also please type the code in, do not copy/paste. Cannot be combined with other sales/offers.